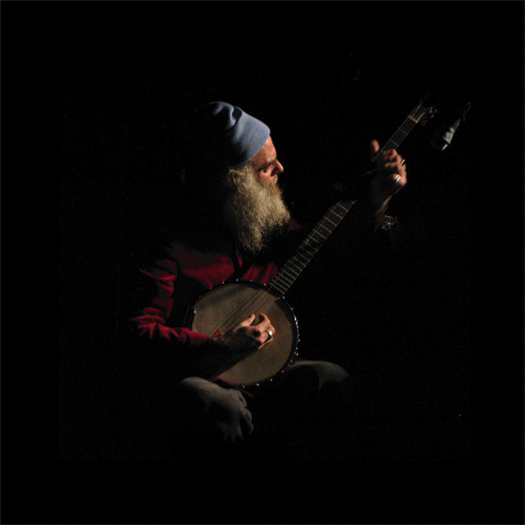 Daniel Higgs is a wandering mystic. His raga-like songs are portals, able to transport you to new, shining galaxies. His words are magic mirrors that can show you those same galaxies spinning within the cells of your own body. His banjo is a spaceship. His voice: a spellbook. Daniel's work has varied greatly over the years. He is known to many as a highly collected visual artist, as the frontman of Lungfish, and recently as a member of the Skull Defekts. Daniel has also released ten solo albums. Gnome Life has recorded and released one extraordinary cassette by Daniel Higgs, and two LPs by Fountainsun (Higgs' band with Fumie Ihsii).